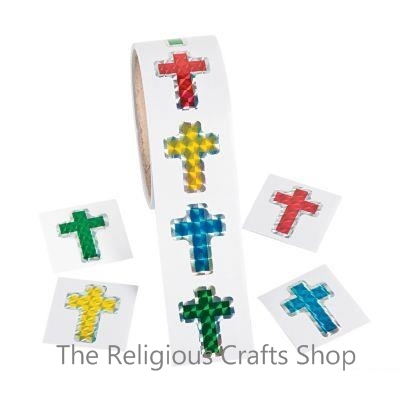 Christian Cross Stickers. Always useful to have in Sunday Schools and schools. Stickers are colourful and cross shaped, measuring 3.5cm by 2.5cm.